Civil War Homefront Precuts are now here. The precuts have arrived and they sure are nice. We have Turnovers, Charm Packs, Layer Cakes, Jelly Rolls, Honey Buns and Fat Quarter Bundles. 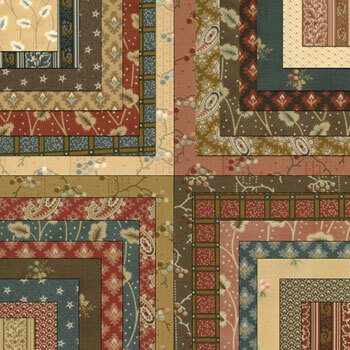 The fabric Civil War Homefront is a preorder so make sure you get your precuts and decide what to make so you can order your fabric.This is a sure way to make sure you don’t miss out on that fabric you just can’t live without. This entry was posted on Thursday, October 22nd, 2009 at 1:10 am and is filed under Uncategorized. You can follow any responses to this entry through the RSS 2.0 feed. You can leave a response, or trackback from your own site.